Lawyers for Empire actor Jussie Smollett say charges alleging he lied to police about an attack have been dropped. Smollett was indicted on 16 felony counts related to making a false report he was attacked by two men who shouted racial and homophobic slurs. Smollett had made a $10,000 US bond payment to the city to get out of jail after his arrest on the charges. Police and prosecutors have said the American actor falsely reported to authorities he was attacked around 2 a.m. on Jan. 29 in downtown Chicago because he was unhappy with his pay on the Fox show and to promote his career. He claimed they shouted, “This is MAGA country” — a reference to President Donald Trump’s “Make America Great Again” campaign slogan. He asserted that he could see one of the men was white because he could see the skin around his eyes. The men are brothers Abimbola “Abel” and Olabinjo “Ola” Osundairo, and one of them had worked on Empire. 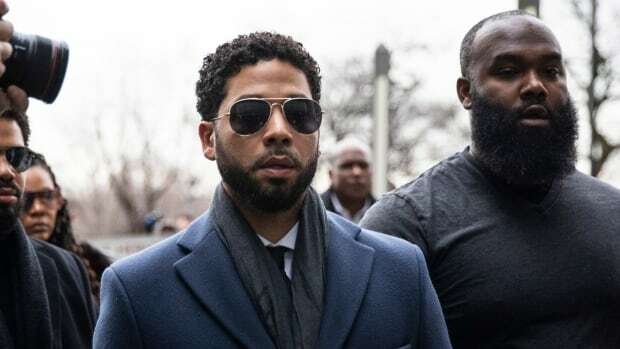 An attorney for them has said the brothers agreed to help Smollett because of their friendship with him and the belief that he was helping their careers. 19th-century firearms retrieved from the bottom of the ocean being restored in N.L.